Safeguard the Family, which is sponsored by several public and private partners, including USAID and University of North Carolina at Chapel Hill, is an integrated and comprehensive maternal and child health program that has components of HIV/PMTCT services, family planning, TB, nutrition, postnatal follow-up and vaccinations, safe water, and hygiene. Safeguard the Family will expand UNC’s coverage to around 130 clinics in Malawi’s Central West Zone, which is home to approximately 3.8 million people, or a quarter of Malawi’s population. The USAID-funded Lilongwe Relief Fund Trust of Malawi (LMRFT), in collaboration with the University of North Carolina (UNC) at Chapel Hill and several other public and private partners, has begun implementing the Safeguard the Family Project, which is aimed at decreasing mother-to-child transmission of HIV and reducing maternal and infant mortality. This $8.2 million initiative will focus on improving maternal and child health in the central region of Malawi, which includes more than 130 clinics and about one quarter of the country’s population, or 3.8 million people. The program is a public-private partnership, with USAID contributing $4.1 million and partner organizations contributing a matching amount in cash and in-kind contributions. Safeguard the Family is based on a program which is currently being implemented in Malawi’s urban and rural Lilongwe district for the prevention of mother-to-child transmission of HIV. That program, a partnership between UNC Project-Malawi and the Ministry of Health of Malawi, incorporates testing for HIV and syphilis, a prevention, treatment and referral program for mothers who test HIV-positive, partner involvement and support group programs, recruitment of traditional birth attendants, and distribution of water purification packets, insecticide-treated bed nets, and infant food supplements. Safeguard the Family will expand the current program, which serves 41 sites in Lilongwe district, to all health centres in the Central West Region of Malawi. It will also improve on the current program by introducing an electronic tracking system linking mothers to children and partners, screening for tuberculosis, routine vaccinations and other services. At the end of three years, the program expects to be reach 153,000 pregnant women and their families annually and to cut mother-to-child transmission of HIV from 30 percent to 2 percent. UNC-Chapel Hill is committed to improving health in North Carolina and around the world. 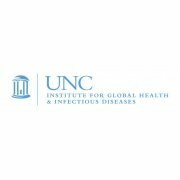 The UNC Institute for Global Health & Infectious Diseases (IGHID) seeks to advance this goal by promoting global health research, teaching, and service activities across campus. IGHID recognizes that the most pressing health challenges and emerging diseases know no boundaries: global health is local health. IGHID fosters an environment in which faculty, students, and the broader university community work together in unique and innovative ways to address critical issues in global health, and to shape the next generation of global health leaders. The Institute for Global Health & Infectious Diseases (IGHID) fosters a collaborative environment in which faculty, students, and the university community partner to find innovative ways to address critical issues in global health and to shape the next generation of global health leaders. IGHID’s diverse programs and initiatives support the three core missions of the university: research, teaching and service. Because it draws on expertise across the campus, including all five health affairs schools and the College of Arts & Sciences, the institute is a powerful and effective instrument for integrated, interdisciplinary study and solutions. UNC’s presence in Africa has a varied and long history. Faculty and students are engaged in research, teaching and service activities in over 20 African countries. From poverty to health care delivery, infectious diseases to land use, social justice to education, UNC has partnered with community organizations, NGOs, and local and national government to address Africa’s most critical issues. Student interest in Africa has increased markedly, and the number of students participating in study abroad programs in Africa has more than doubled in the past five years. As one of the few universities in the Southeast with an active commitment to African-American studies, UNC has a unique environment and many opportunities for productive collaboration among scholars in African and African-American studies. Health-related programs are the foundation of UNC’s work in Sub-Saharan Africa. Malaria in Malawi, TB in the Democratic Republic of Congo, surgery in Uganda, water and sanitation in Ghana, and HIV/AIDS across sub-Saharan Africa are the subject of some of the university’s health initiatives. In Africa as elsewhere, UNC is committed to long-term growth and capacity-building. IGHID is training a growing number of African health care professionals in both Africa and the United States to increase local knowledge and ensure sustainable programs. Asia is quickly becoming Carolina’s largest area of growth in terms of global research partnerships and educational programs. Students are traveling to and studying in Asia in unprecedented numbers, and there has been a dramatic rise in student interest and demand for Asia-related courses. To meet demand, UNC is recruiting new faculty with Asian expertise and planning a graduate program in Asian studies. Global health is one of UNC’s existing strengths in Asia, particularly China. Infectious disease faculty, for example, have been working in China since the country opened to the West. Health and migration, heart disease, nutrition, obesity, HIV/AIDS and other sexually transmitted infections are all areas of focus for UNC health affairs faculty and their Chinese partners. With China as one of its target regions, IGHID is actively cultivating new interdisciplinary partnerships on campus, bringing together medicine, dentistry, economics, and business in a variety of China-focused initiatives. Latin America is recognized as one of UNC’s global strengths. On campus since 1940, the Institute for the Study of the Americas (ISA) has been a cornerstone in promoting a deeper understanding of the Americas through innovative research, curricular development, and creative public policy initiatives. In terms of global health, cross-campus research, teaching, and service collaborations in Latin America are deeply rooted in UNC’s academic culture. Within this environment, the Institute for Global Health & Infectious Diseases is committed to fostering new collaborations and creating opportunities for synergistic programs to improve the health of all citizens in Latin America. IGHID has significant involvement in programs in Guatemala and Nicaragua, while the campus as a whole has global health activities all across Mexico, the Caribbean, and Central and South America. The Elizabeth Glaser Pediatric AIDS Foundation is the global leader in the fight to end AIDS in children. Over its nearly 30 year existence, EGPAF has helped to achieve dramatic reductions in the number of new HIV infections among children, with a more than 90% decline in new infections in the U.S. and a 70% decline worldwide. A sizable portion of infections averted in children globally are the result of EGPAF-supported programs in countries heavily affected by the epidemic. The risk of mother-to-child transmission during pregnancy, delivery, and breastfeeding, which accounts for more than 90% of new childhood infections, can be reduced to less than 5% by providing the mother access to effective antiretroviral therapy and support services. At the end of 2015, nearly half of all children already infected with HIV worldwide were being protected from the debilitating and lethal effects of AIDS by receiving effective antiretroviral therapy. The elimination of new childhood HIV infections and AIDS remains within their reach. The Elizabeth Glaser Pediatric AIDS Foundation seeks to end global pediatric HIV/AIDS through prevention and treatment programs, research, and advocacy. Expand high quality, evidence-based, locally sustained HIV/AIDS programs and services, as well as strengthened health systems to end HIV/AIDS among children, adolescents, and families. Advance research and innovation to prevent, treat, and end HIV/AIDS among children, adolescents, and families. Advocate for global, regional, national, and local policies and guidelines, resources, and political leadership to end HIV/AIDS among children, adolescents, and families.. The main campus is a 240-acre parcel in Evanston, along the shores of Lake Michigan. The university's law and medical schools are located on a 25-acre campus in Chicago's Streeterville neighborhood. In 2008, the University opened a campus in Education City, Doha, Qatar with programs in journalism and communication. In academic year 2010-2011, Northwestern enrolled 8,397 undergraduate and 7,870 graduate and professional students. Northwestern has one of the largest university endowments in the United States, valued at $7.9 billion in 2013. One of only 62 institutions elected to the Association of American Universities (1917), Northwestern was awarded more than $500 million in research grants in 2010–2011, placing it in the first tier of the major research universities in the United States by the Center for Measuring University Performance. Its schools of journalism, management, engineering, and communication, for example, are among the most academically productive in the nation. Northwestern is a founding member of the Big Ten Conference and remains the only private university in the conference. The Burnet Institute's mission is to achieve better health for poor and vulnerable communities in Australia and internationally through research, education and public health. Burnet is an Australian, not-for-profit, unaligned and independent organisation that links medical research with public health action, recognising that solutions to many of the major global health problems require comprehensive and innovative responses. These include novel discoveries, such as the development of new vaccines and diagnostic tests, and the better use of existing best-practice health interventions. With an estimated 33 million people living with HIV and millions more affected by other infectious diseases, Burnet is playing its part in trying to improve the health of disadvantaged, poor or otherwise vulnerable communities. With more than 400 staff involved in research and public health programs in seven countries, including Australia, the group's expertise lies in specific infectious diseases of global health significance – such as HIV and AIDS, hepatitis viruses, influenza, malaria and emerging infectious diseases. The group's scientists and researchers are studying the immune responses to these diseases and developing therapies to these infections and other human diseases including some cancers. What makes the group's work unique is the linking of laboratory-based medical research with field-based public health programs aimed at creating a healthier world. The Emory Global Health Institute was established in September 2006 as part of Emory University’s 2005-2015 strategic plan. Founding the EGHI was a natural evolution for Emory University as it builds on a strong foundation in global health research, training, and scholarship that was laid by the Emory University School of Medicine, the Nell Hodgson Woodruff School of Nursing, the Rollins School of Public Health, the Emory Vaccine Center, and other schools and departments such as anthropology, area studies, biology, chemistry, and theology. Emory's relationships with prominent public health organizations and agencies also made it an ideal place to launch an academic center focused on improving global health. The University has longstanding, close working relationships with The Carter Center and the Task Force for Global Health, organizations that have formal affiliations with Emory. And Emory's faculty, staff, and students partner routinely with other Atlanta-based health-related organizations such as the American Cancer Society, CARE, the Centers for Disease Control and Prevention (CDC), the Georgia Institute of Technology, Georgia State University, and the Morehouse School of Medicine. Help train the next generation of global health leaders. To meet our goals, EGHI supports a variety of programs that assist faculty members and students across Emory University address global health problems. They support Emory faculty researching a variety of global health issues and connect faculty with potential global health programmatic and funding partners. They provide innovative, multidisciplinary global health learning opportunities to Emory students. They bring global health experts to Emory to share their knowledge and expertise with the Emory community. Gilead Sciences was founded in 1987 in Foster City, California. In 25 years, Gilead has become a leading biopharmaceutical company with a rapidly expanding product portfolio, growing pipeline of investigational drugs and approximately 5,000 employees in offices across four continents. Our current research and development effort includes more than 75 Phase 2 and 3 clinical studies evaluating compounds with the potential to become the next generation of innovative therapies for HIV, hepatitis, serious respiratory, cardiovascular and metabolic conditions, cancer and inflammation. 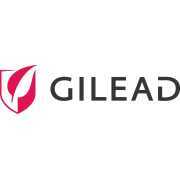 In 2012, Gilead’s annual revenues reached approximately $9.7 billion. Through our own research and partnerships with universities, medical research institutions and global pharmaceutical leaders, Gilead is rapidly and efficiently making scientific and clinical advancements that raise the standard for new therapeutics that treat life-threatening diseases. Our research and development programs currently focus on potential treatments in HIV/AIDS, liver diseases, cardiovascular and respiratory conditions and oncology and inflammation. The Gilead Foundation, a non-profit organization established in 2005, seeks to improve the health and well-being of underserved communities around the world. Our giving focuses on expanding access to HIV and hepatitis education, outreach, prevention and health services. The Gilead Foundation provides grants to programs in the United States and internationally. TherapyEdge is an Integrated Software Solutions for Personalised Medicine. By connecting clinical management and diagnostics TherapyEdge gives healthcare workers the IT tools they need to make more informed healthcare choices in a personalised way. TherapyEdge invents and provides seamless, secure IT solutions and decision support software for healthcare professionals who are caring for people with potentially life-threatening chronic diseases. As a clinical software and information company, TherapyEdge provides patented intelligent, patient management systems to healthcare professionals. Our expertise is in infectious diseases and more specifically in the molecular biology and clinical outcome predictors of HIV/AIDS, hepatitis and tuberculosis. Advanced Biological Laboratories (ABL) S.A. is a biotech company that was created in 2000 as a spin-off from the European academic research center (CRP-Santé, Luxembourg). 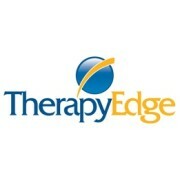 TherapyEdge was spun off from Triangle Pharmaceuticals Inc, in March 2000. 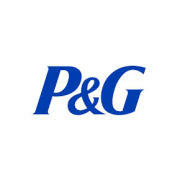 The Company merged in 2004 with Advanced Biological Laboratories (ABL). The Group is currently based in Europe (Luxembourg, Belgium & Spain) and South Africa, employs industry-leading experts in medical practices, software development, information technology, commercial operations and regulatory and business development. Wherever there is famine, conflict, disease or poverty, it's always the children who are most vulnerable. 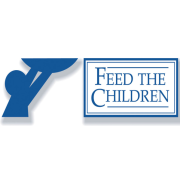 Operating from offices in Twyford (near Reading) and Bristol, Feed The Children UK concentrates aid on children suffering the effects of poverty, especially those who have been orphaned or abandoned. Unusual among charities, we do not just ask for money - we also ask for life-saving goods to send to the projects we support. We concentrate on * Support to homeless and abandoned children * Support to children affected by HIV/Aids. * Support to education in impoverished areas. * Vocational training for older children. * Emergency help in disaster situations, such as the Pakistan earthquake and the tsunami. * In the UK, breakfast clubs at inner city schools. We work worldwide to develop sustainable communities and provide food and other necessities for those in great need.